Welcome to PP - Look forward to reading all your stories. I'm also Caroline, mum to Bronwyn who is 15 weeks. 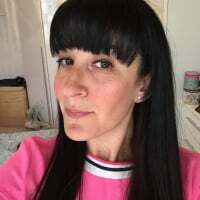 My name is Simone and i am mum to Jessica, this is a really great site and you can get lots of advice on here and make friends. Hiya, I'm lucy and mum to 3 children( as per lilypie). Not too long to go now, for you. Do you know what you are having? Hope you are feeling well and welcome to the site. Hi Caroline. Welcome to PP. I'm Nicolette and I am 31 weeks (tomorrow) pregnant with my second. How is it all going for you? I'm getting fed up, I'm carrying low and up front and all I get is pevlic pain and constant need to use the loo! I delivered early last time so I am anxious to know what is in store for me this time. Hello Caroline and Welcome to PP. I'm Tasha and have to children, Ethan and Amber. I hope you enjoy this site as much as we do!! I'm Zoe mum to Jack and Charlotte. Look forward to getting to know you. welcome to pp and i hope you find lots of useful info on here. congrats on your pregnancy. hope you are feeling well. hi also to hillyhenhouse, welcome to pp. wow, four children, sounds fab. hope the pregnancy is going well for you. Hi Hillyhenhouse (fab nickname by the way)! welcome to PP i hope you're feeling well with your 4th pregnancy?! I certainly don't think you're mad for having a 4th (brave perhaps)!, i'd love more but my husband is on a firm NO at the moment! Congratulations to you both and a warm welcome to PP!!!! I'm Dawn, mum to Cameron who's almost 9 months. Welcome to the site,im emma mum to 1son 3yrs and a foster daughter(also my niece)7mths. Look forward to chatting some time. My name is simone and i am mum to Jessica. Congratulations on your pregnancy, hope you are feeling ok.